On May 16, Mr. Thomas Tial Hoe, our elder in Myanmar, sent a message via e-mail to our elder in Malaysia, Mr. Rajan Moses, informing him that he had been able to call Mrs. Saw Lay Beh in Sakhangyi and “received good news from her. No damage by Cyclone. But they are very poor.” This was the first direct communication with one of our members in Myanmar since Cyclone Nargis. Mr. Bruce Tyler, during his visit to Charlotte, reported that a team of members from Thailand is being organized to travel to Myanmar to provide support to our brethren in the affected regions. Headquarters is also looking into ways to deliver aid from our Disaster Relief Fund. Your prayers for their success and safety are requested. China Quake May Cause Global Economic Aftershock. Rescuers reaching the epicenter of China’s massive May 12 earthquake were met by horrific devastation. With bridges destroyed and roads cut by landslides, soldiers had to hike to the remote city of Yingxiu in Wenchuan province, where they found just 3,300 survivors—1,000 severely injured—of the town’s population of 10,000. The quake’s death toll has exceeded 80,000. Millions are sleeping in the open, even in the midst of heavy rain, afraid to reenter damaged structures because of the many aftershocks. Two thousand Chinese soldiers were deployed to repair “extremely dangerous” four-inch cracks in one major dam that provides hydroelectric power and irrigation for the region. 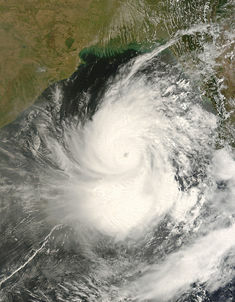 Hundreds of dams, mines, bridges, roads, railway lines, hospitals, schools, factories, power and water treatment plants and other infrastructure were destroyed or damaged, along with millions of homes (Associated Press, May 14, 2008). As China works to recover, the world economy will feel an economic aftershock, as the already voracious Chinese appetite for fuel and building materials will increase greatly, adding to the increase of commodity prices. China will likely dip into its reserve of 1.4 trillion U.S. dollars to pay for its recovery, adding to U.S. inflation and further hurting the American economy. God warned, “Your wealth and your treasures I will give as plunder without price, because of all your sins” (Jeremiah 15:13). Furthermore, perhaps I should add that it needs to be understood that the Bible does NOT indicate that China will dominate the 21st century. China will have problems. These may be related to disease, pollution, weather, economic matters, and/or civil unrest. China still has hundreds of millions of peasants that instead of benefiting much from its economic growth, are suffering the effects of industrial pollution and other negative effects of China’s policies. This entry was posted on Saturday, May 31st, 2008 at 4:14 pm	and is filed under COG News, Prophecy. Myanmar to Become A Nuclear Power? Legacy: Myanmar to Stop Home Churches?